Oh teething! Its the pits isn’t it, but we can help. 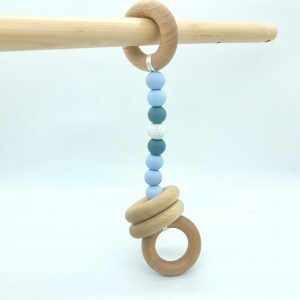 This range of teething toys will help your baby through those torturous teething months. 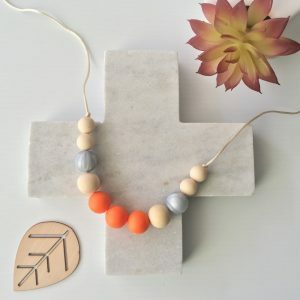 Our signature design, Palermo will delightfully entertain and relieve teething aches and pains. 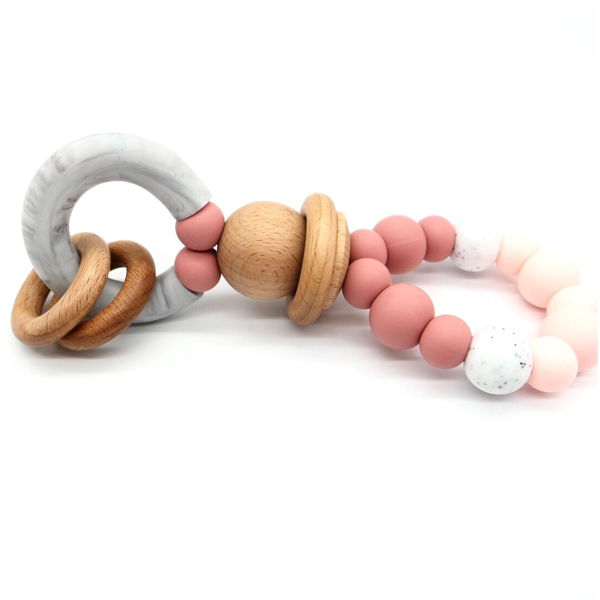 Featuring a U-shaped tube and silicone beads, Palermo is safe to chew whilst gently massaging teething gums. 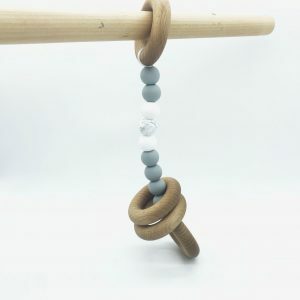 Beechwood rings will encourage hand eye co-ordination and fine motor skills to turn the middle ring while the outside rings provide an extra sensory delight with a gentle rattle. 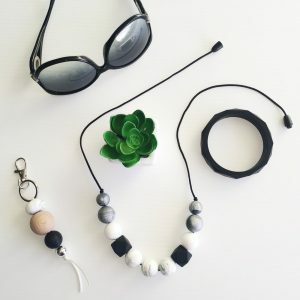 Silicone beads are non toxic, food grade silicone. Beechwood is firm, non splintering and naturally anti bacterial. 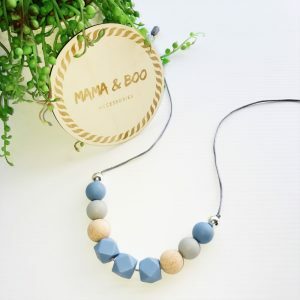 All Mama & Boo teething toys have been tested and certified to meet the mandatory Australian Safety Standards AS/NZS 8124 by an accredited testing laboratory. Care instructions: Wipe over with a damp cloth or baby wipes. Do not fully submerge. 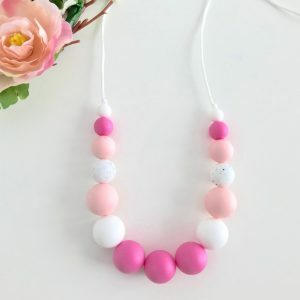 Mama & Boo also have a range of Silicone Necklaces and Play Gym Teethers.